Based in Bristol since 2013 he has worked in the planning sector since 2006 and benefits from a broad range of both public sector and private sector experience. Andy gained a Bachelor of Arts Degree in Design, Development and Regeneration from Nottingham Trent University in 2005 and a distinction in his Masters Degree in Spatial Planning from Birmingham City University in 2009. He has been a Chartered Member of the RTPI since 2011. 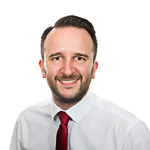 Andy has developed a particular specialism in affordable housing and has been heavily involved in developing affordable housing evidence for the numerous successful Section 78 appeals that Tetlow King Planning have been involved with in the past few years. He also sits on the Right to Build Task Forces panel of experts specialising in Custom and Self-Build housing and was responsible for securing planning consent for 54 Custom Build homes for Igloo Regeneration in Cornwall on the first pilot scheme implemented by Homes England to kick-start the Government’s commitment to maximising opportunities for Custom Build homes. Since joining the company Andy has worked on a variety of projects including undertaking detailed analysis of residential development opportunities in Core City housing markets, obtaining planning consent for a complex housing site in the East Dorset Greenbelt, together with numerous other planning applications, Environmental Impact Assessments, Care Needs Assessments, promotion of residential development sites through the Development Plan process and the undertaking of detailed site appraisals.